Did you miss me? I know. There’s no excuse. Two weeks without a post is just evidence of sloth. Or possibly death of the author. Well, I’m neither lazy nor dead. I was designing my new book on InDesign, and it was a trick, I’m tellin’ ya. But it’s complete, and I’m back. 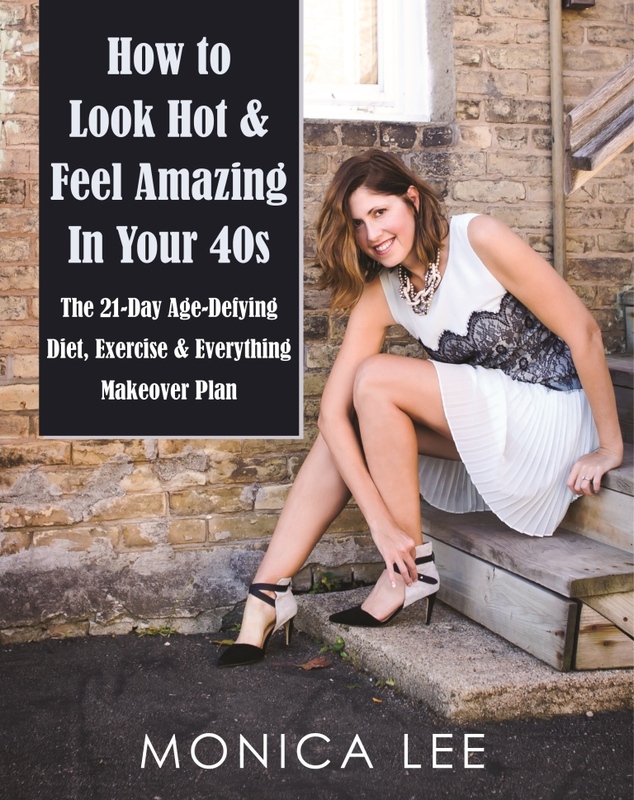 If you’re interested in hearing more about my new health-and-fitness memoir, check it out here on my author blog here. There’s even a deal there for you if you’re interested in getting yourself a copy. 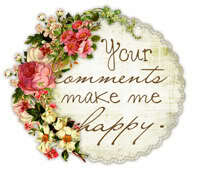 We now return you to a regular blogging schedule. You can’t pick up a book titled “Home Wrecker I: The Chronicles” without finding a little infidelity and drama, and author Brenda Perlin delivers it was gusto and verve. Perlin creates a compelling if not sympathetic character in Brooklyn. 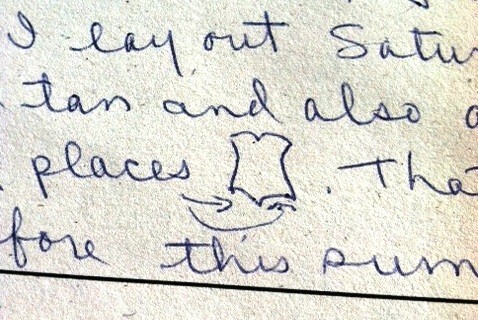 I felt like I was reading the private diary of one of the housewives of Orange County. Written in first person and set in southern California, this book is filed in fiction but reads more like a memoir. The first half meanders along a bit as Brooklyn describes her early life. This is necessary back story, but it becomes a little labored. The narrative picks up in the second half when Brooke meets Bo and, unfortunately, Bo’s soon-to-be ex-wife. Much of the second half of the book reads like a legal drama, and I devoured the last 40% in a single afternoon. I actually began reading “Home Wrecker” when it was published with a different publisher who jacked Perlin around by setting the price at such a ridiculous level, no one would ever buy it and she would never earn a dime of royalty, so I’m glad her work has found a home with Master Koda Select Publishing. 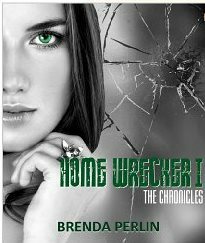 You can now find “Home Wrecker I: The Chronicles” on Amazon for 99 cents, and Prime members can borrow it for free. Can’t beat that deal. This strange novel with its history, magic, violence and European setting reminded me a bit of an adult version of C.S. Lewis’ Chronicle of Narnia without the Christian symbolism. I was at first skeptical of this historical fiction novel but 50 pages in, the protagonist, Claire — a World War II nurse — is caught up in a magical time warp that flings her 200 years into the past. I’m a sucker for time travel stories. 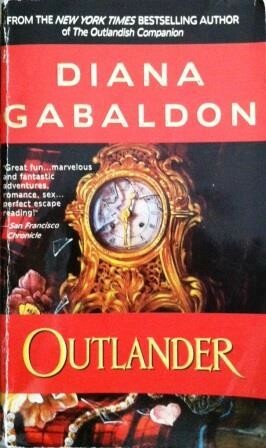 “Outlander” by Diana Gabaldon, first published in 1991, is the first in what is now a seven-book series. It’s heavy on description (lots of adventure, too, but I learned an awful lot about 18th century herbal remedies, gardening and medical procedures) and should be savored for language and the journey. I loved this prayer of the Scottish hero Jamie because it reminded me of a prayer I whispered when I’d heard my brother was in a car accident and though it hadn’t been confirmed, I knew in my heart he was dead. 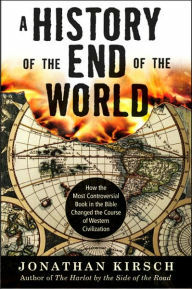 Interspersed in the narrative are interesting and possibly controversial theories and descriptions of fidelity, meditation, the intimacy of sleep, the eternal lure of the peacefulness of the womb and the justification for corporal punishment. I could see that in spite of outward composure, he was bursting with the glee of whatever they had found, like a small boy with a toad in his pocket. Plainly I was going to have to go and read Captain Jonathan Randall’s laundry bill, his receipt for boot repairs, or some document of similar fascination. If Minnesota Transplant readers ever wonder where I got the desire to write about all things interesting and inane, you don’t have to look much farther than my mother. I helped an author publish her book to Amazon recently (read more about that exercise here), and it reminded me how grateful I am for my mother. The book I helped publish to Amazon is titled, “Letters From Mom: A Daughter’s Journal of Healing” and it’s about how the author, Joyce Kocinski, dealt with her grief after her mother’s death. 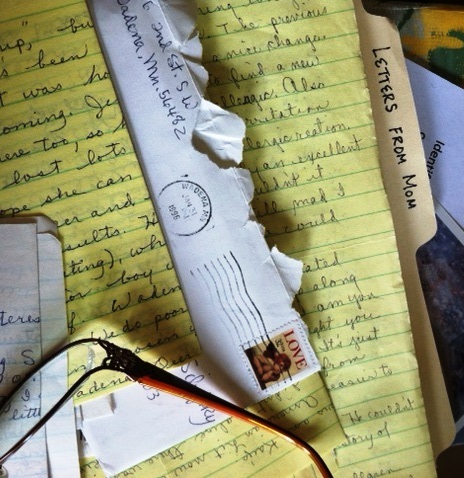 The narrative includes several letters written by her mother. Mom writes about all kinds of minutia in a lovely way that polishes daily activities like gardening, decorating and visiting into precious artifacts. I aspire to that art of converting the mundane into the extraordinary in this daily blog. “Curt is in Long Prairie running this afternoon. He said he ran fast in practice yesterday. We bought something for his diarrhea. I hope it clears it up, so we don’t have to go the doctor, but we will if it doesn’t (Kay!). For your reference, Curt was my brother, and Kay, to whom this letter was also addressed because we were living together at the time and who apparently delayed seeing a doctor, is my sister. Phyllis and I lay out Sunday, and I lay out Saturday alone. I have a pretty good tan and also a pretty bad sunburn in a couple of places [drawing]. That area wasn’t exposed to the sun before this summer, I suppose. Those of us without biological children have to cater to our inner child in ways parents never do. Today, I browsed a dinosaur display, licked an ice cream cone and posed for a picture squished between my dog and my Beloved on the couch because my stepson is in town, and we were indulging him. Would I do these things without him? I’m thankful I don’t have to watch “Veggie Tales” or dine on the leftovers of Happy Meals, but I also don’t get to play with Barbies or live vicariously as a 4-year-old revels in the wonder of meeting Santa. If we childless people don’t make such decisions directly, we miss catching them randomly. It makes me grateful for the opportunity to step-parent, though I missed some of the cutest experiences of children of single-digit ages. That double-dipped ice cream cone with a teen-ager this afternoon sure was fun, though! In honor of Meatless Monday, I pulled out my Experimental Chef hat. Meatless Monday, if you haven’t heard of it, is a movement encouraging people to eschew meat on Mondays in the pursuit of better health, saving money and going easy on the environment. I’m seeing people everywhere use their iPad as a contemporary cookbook, propped up on the kitchen counter top, and I decided to do that with a meatless recipe tonight, too. I tried a very different sort of recipe from microwave wizard Wancy Ganst, Hong Kong author of 18 cookbooks more than 800 recipes on Amazon Kindle. My choice? Chestnuts and Lentils in Thai Red Curry. A word of warning: These are authentic recipes so an American cook may need to do some conversions. For example, I needed 100 grams of chestnuts. Well, the supermarket (even the good one with a wide selection 20 minutes from my house) didn’t have chestnuts so I used hazelnuts (recommended as a good alternative by my friend Google). As for 100 grams? It’s about 3.5 ounces but I had 2 ounces. So I used that much. Ditto for the microwave wattage. The recipe called for an 850-watt microwave. Mine’s 1500 watts, so I microwaved for about half the time called for. Lentils are high in fiber and protein, but they taste like sand if you don’t prepare them right. The red curry paste enhanced them deliciously — spicy but not unbearably so. Who knew you could prepare lentils in the microwave? Wancy Ganst, I guess. Her instructions worked like a charm. 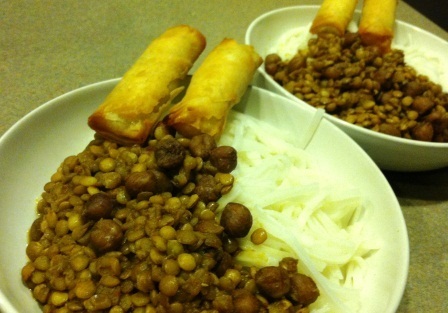 I served my Hazelnuts and Lentil Thai Red Curry sauce over Thai rice noodles with vegetarian spring rolls. Yum!